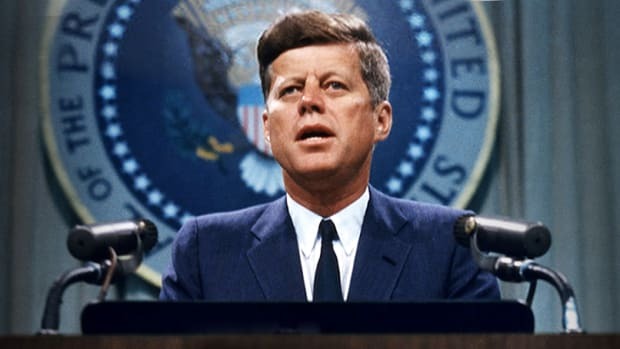 President John F. Kennedy was assassinated on November 22, 1963 at 12:30 p.m. while riding in a motorcade in Dallas during a campaign visit. 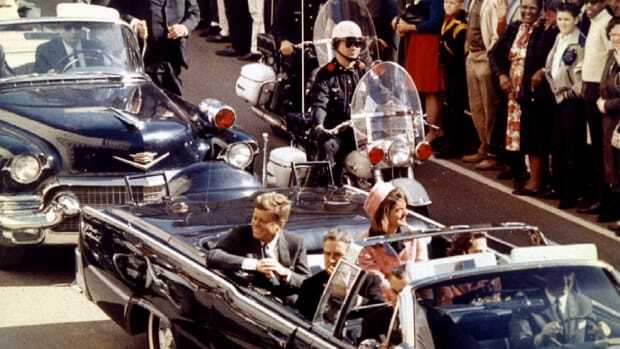 Kennedy’s motorcade was turning past the Texas School Book Depository at Dealey Plaza with crowds lining the streets—when shots rang out. The driver of the president’s Lincoln limousine, with its top off, raced to nearby Parkland Memorial Hospital, but after being shot in the neck and head, Kennedy was pronounced dead at 1 p.m. He was 46 years old. A generation of Americans would forever remember where they were when they heard about the president’s assassination, as it would have a profound political and cultural impact on the nation. By 2:15 p.m., Lee Harvey Oswald, a new employee at the Book Depository, was arrested for JFK’s assassination, as well as for the fatal 1:15 p.m. shooting of Dallas patrolman J.D. Tippit. 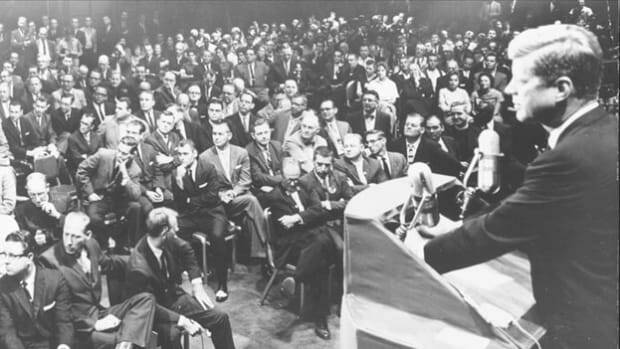 Two days later, on Nov. 24, Oswald would be murdered by local nightclub owner and police informant Jack Ruby at point-blank range and on live TV. Lee Harvey Oswald, November 1963. Born in New Orleans in 1939, Oswald’s father died of a heart attack two months before he was born. After living off and on in orphanages as a boy, he moved with his mother to New York at age 12, where he was sent to a youth detention center for truancy. It was during this time that he became interested in Socialism. After moving back to New Orleans, Oswald joined the Marines in 1956, where he earned a sharpshooter qualification, and discovered Marxism. Upon receiving an early honorable discharge from the Marines in 1959, he defected to the Soviet Union for two and a half years, where he was denied citizenship, but allowed to stay in the country—and was monitored by the KGB. Upon learning that Oswald had wanted to defect, the Marines downgraded his 1959 discharge from “honorable” to “undesirable” in 1962. Later that year, Oswald returned to Texas with his Soviet wife and young daughter. One year later, Oswald would purchase, by mail, a rifle with telescopic sight and a .38 revolver. That year, he allegedly attempted to shoot retired United States Major General Edwin A. Walker who had been a staunch critic of Communism. Later in 1963, Oswald was denied passage to Cuba and the U.S.S.R. during a trip to Mexico City. He returned to Texas and started a job at the Texas School Book Depository in Dallas. 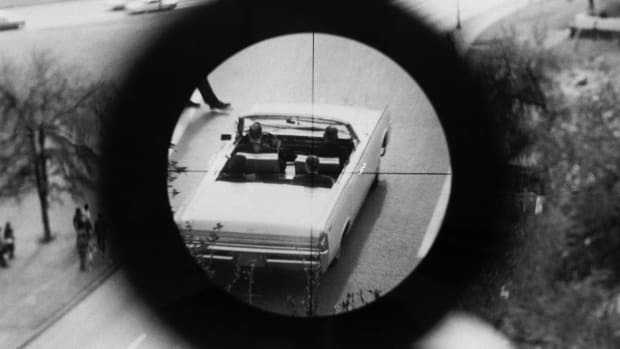 According to the official investigation, Oswald acted alone, firing three bullets from a sixth-floor window at the southeast corner of the Book Depository. 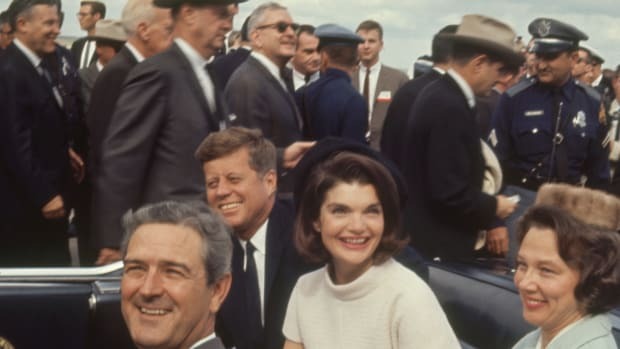 Kennedy was struck once in the neck and once in the head, and slumped over onto his wife, First Lady Jacqueline Kennedy. Texas Governor John B. Connally Jr., who also in the limo with his wife, was shot once in the chest. He recovered from his injuries. After killing Tippit, Oswald was arrested a few minutes later in the back of a movie theater. "The man is 24-year-old Lee Oswald, espouser of leftist causes, an active member of the Fair Play for Cuba Committee, an avowed admirer of Russia and of Cuba&apos;s Fidel Castro, a man who once lived in Russia," Dan Rather reported on CBS News at the time. 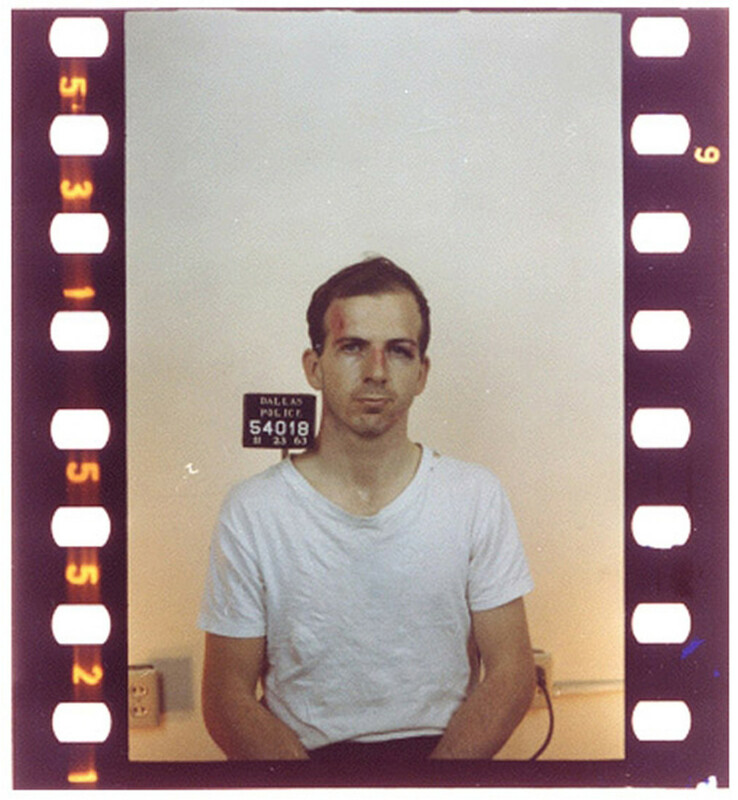 During his interrogation, Oswald denied any guilt. “I didn’t shoot anybody, no sir … I’m just a patsy,” he told reporters. Vice President Lyndon Johnson taking oath of office after President Kennedy&apos;s assassination aboard Air Force One. The first lady and Vice President Lyndon B. Johnson, who had been three cars behind Kennedy in the motorcade, returned to Air Force One at Dallas Love Field with Kennedy’s body, in a bronze casket. 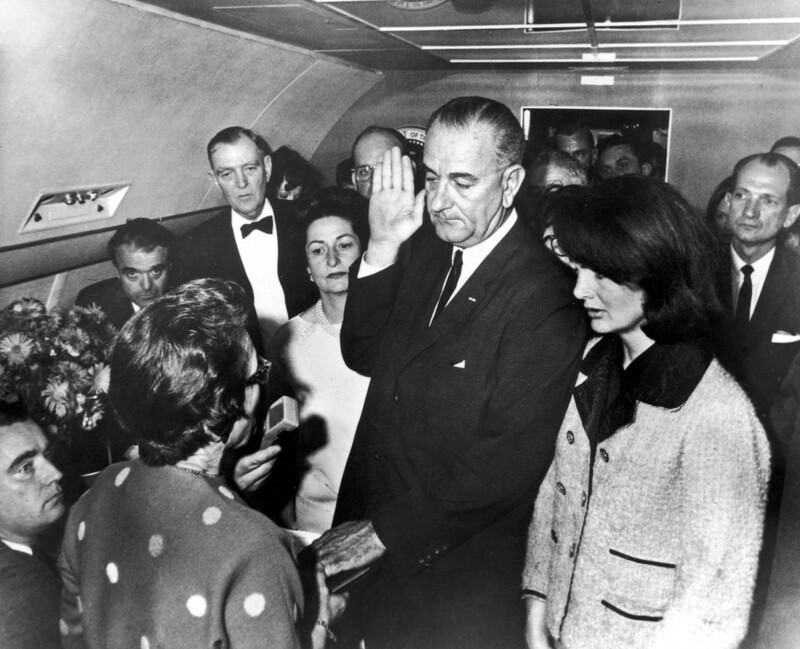 Johnson was sworn in at 2:38 p.m. as the 36th president of the United States while aboard the airplane prior to takeoff. Jacqueline Kennedy, still in a pink suit splattered with blood, stood at Johnson’s side. 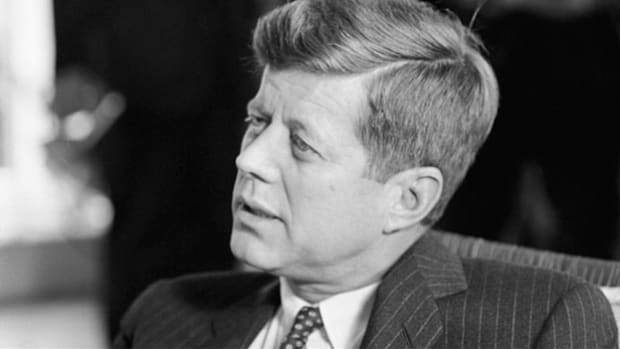 An autopsy on Kennedy’s body was performed at Bethesda Naval Hospital in Maryland. 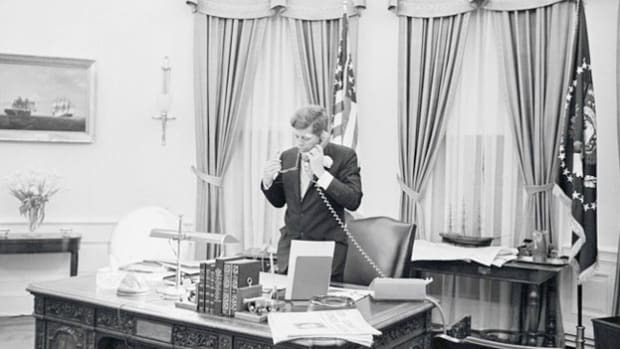 On November 23, 1963, Johnson declared November 25 a national day of mourning. On Sunday morning, November 24, in front of the press, Oswald was being led to be transferred to the county jail from Dallas Police Headquarters. "The Dallas police were extremely worried for the safety of their prisoner," KRLD radio reporter Bob Huffaker, who was there, told CBS News. "We knew that Oswald was the most hated suspect of the 20th century." Ruby shot Oswald point-blank in the stomach with a small-caliber pistol. 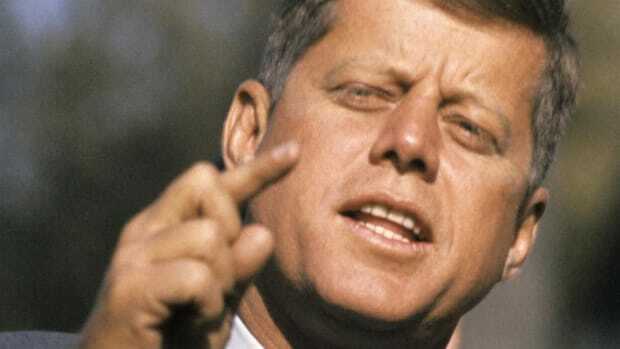 Oswald died at Parkland Hospital, where Kennedy had died two days earlier. Ruby was indicted on November 26 and convicted of murdering Oswald and sentenced to death by electric chair. The ruling was overturned on appeal, but Ruby died of a pulmonary embolism stemming from lung cancer in 1967, before a new trial could take place. 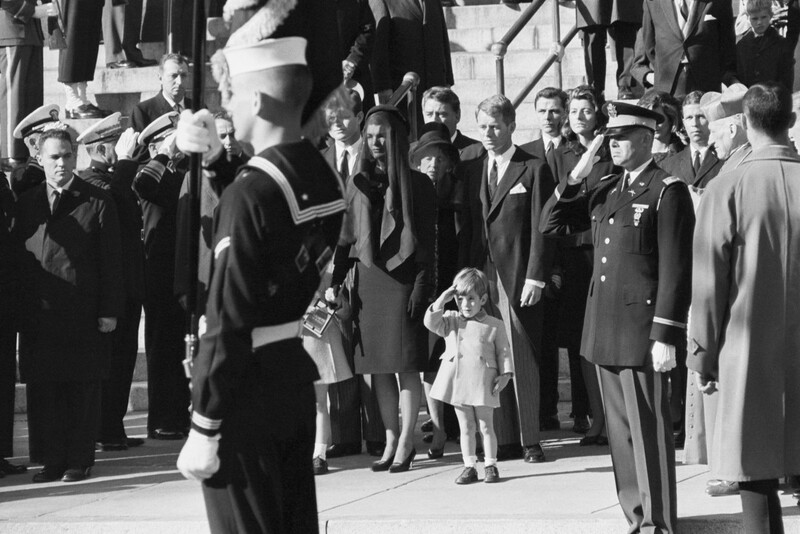 John F. Kennedy Jr. saluting as the casket of his father, the late President John F. Kennedy, is carried from St. Matthew&apos;s Cathedral in Washington, D.C.
On November 25, a horse-drawn caisson carried Kennedy’s flag-draped coffin to St. Matthew’s Catholic Cathedral from the Capitol Rotunda. More than 800,000 people lined Pennsylvania Avenue to watch the procession, according to the Washington Post. Kennedy was buried with full military honors at Arlington National Cemetery, following the requiem mass, with leaders from dozens of nations in attendance. Jacqueline Kennedy lit the eternal flame that has continued to flicker since JFK’s death. 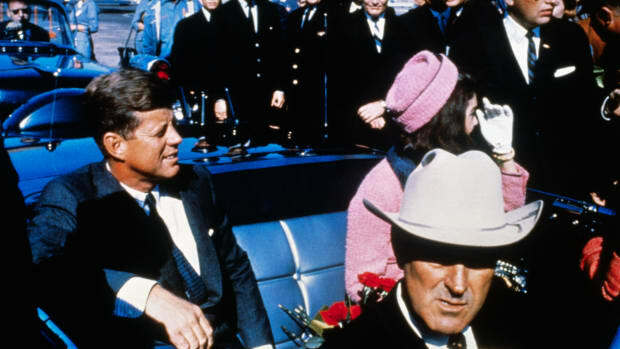 Despite the official finding, many believe Oswald didn&apos;t act alone, or that other conspirators—from the world of organized crime to the CIA to Cuban exiles—are responsible for Kennedy’s assassination. A 2017 poll by FiveThirtyEight, found just 33 percent of Americans believe Oswald alone killed Kennedy. Some 30,000 never-before-seen or un-redacted documents were released to the public by the National Archives in 2017 and 2018, with another release set for October 2021.